The National Science Digital Library includes a variety of educational resources to further STEM (science, technology, engineering and mathematics) education. Browse the science literacy maps, short science refreshers, free multimedia downloads, or subject area collections to find just what you need to enhance student learning! What is JASON? We are a non-profit organization that connects students to real science and exploration to inspire and motivate them to study and pursue careers in Science, Technology, Engineering and Math (STEM) fields. We embed the exciting STEM professionals and cutting-edge research of our partners into award-winning online and print core curricula, adaptable resources, live interactive events and professional development. In addition to our standards-aligned educational resources such as videos, articles with read-to-me functionality, games, and hands-on labs; JASON also offers a wealth of teacher resources including online lesson plans, assessments, classroom management and more. CK-12 Flexbooks is an organization with the plan to reduce the cost of textbooks for the K-12 market in the U.S. and worldwide. Using an open-content, web-based collaborative model CK-12 plans to lead the way in the distribution of high quality educational content through online textbooks. It is time to engage your senses in outer space. 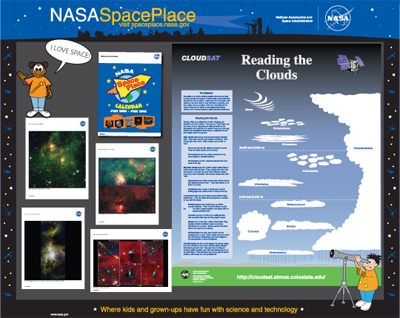 Join the NASA Kids Club and take off into a universe of STEM activities that engage and inspire teaching and learning. Join the Discovery Crew with Buzz Lightyear, visit NASA with Elmo, explore outer space with Nebula, and follow those Angry Birds into another universe. NASA Kids Club guarantees an out-of-this-world experience. Tip: Use with a digital projector and full classes can get involved. How to Smile is an online community of educators that have vetted over 3,000 engaging hands-on, interactive STEM activities. With both desktop and mobile capabilities, How to Smile is full of activities that are both physical and virtual that are sure to get students involved. Tip: Use How to Smile's search by chemical directory to find activities for any type of experiment. ARKive gathers together films, photographs, and audio recordings of the world’s species to establish a comprehensive multimedia digital collection of profiles of species either rare or threatened with extinction. Tip: Incorporate these materials into lesson plans, presentations, work sheets, projects in hard copy or digitally to engage students in key science and biology topics, or use as creative inspiration for art and design projects. 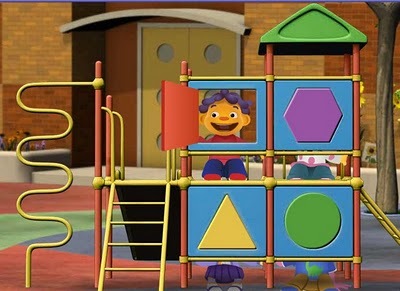 This site for tweens features a lineup of programs on the Discovery Kids channel and in-depth information on each show; a treasure trove of games, puzzles, and other fun activities; and video clips from various episodes of Discovery Kids programs. The themes of most shows revolve around science, nature, the environment, and exploration of the world around us, and the activities on the site are similarly mind-bending. Dive into a unique exploration of science, art, and human perception in the Exploratorium. Watch, view, experience, learn and play using hundreds of web pages and activities. Take a gross-out walk, dissect a cow's eye, make your own petroglyph...the choices are endless. Sections for students, teachers and families. This site offers a number of pages on forests, trees, and the air. The Sierra Club is a nonprofit, member-supported, public-interest organization that promotes conservation of the natural environment by influencing public policy decisions—legislative, administrative, legal, and electoral.